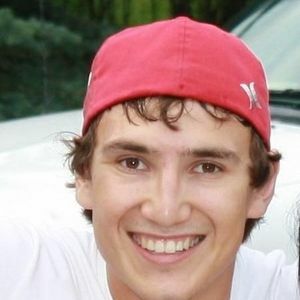 Patrick David Wilkie, 26, Minot, ND, formerly of Wahpeton, ND passed away on June 21, 2013 in an accident near Stanley, ND. The Mass of Christian Burial will be on Friday, June 28, 2013 at 10:00 AM at St. John's Catholic Church, Wahpeton with Father Dale Lagodinski as celebrant. Visitation will be Thursday from 5 PM to 7 PM with a prayer vigil at 7 PM at St. John's Catholic Church. There will also be visitation one hour prior to the mass at the church on Friday. There will also be a Memorial Mass on Saturday, at 10:00 AM at St. Anthony's Catholic Church in New Town, ND. Interment will be at the New Town Cemetery. Local arrangements are entrusted to Vertin-Munson Funeral Home, Wahpeton. Patrick David Wilkie was born on March 22, 1987 in Breckenridge, MN to Shavonne (Sand) and David W. Wilkie. He was a member of the Mandan, Arikara, and Hidatsa Nation and also descended from the Turtle Mountain Band of Chippewa (Bear Clan) and of Norwegian heritage. His Indian name is "White Horse" which was given to him by Gilson Mandan. He was a member of the Chicken Clan He grew up in Wahpeton and attended St. John's School and Wahpeton Public Schools; graduating from WHS in May 2005. He also attended Northland Technical College in East Grand Forks. Over the years, he was employed at Godfather's Pizza, Stern Sports Arena, Dean's Landscaping, and Minn-Dak Farmers Cooperative in Wahpeton; as well as Menard's at the Grand Forks and Minot locations. At the time of his death, he was employed at Triangle Electric in Minot as an Apprentice Electrician. He was a proud member of the Local 714 IBEW. Patrick was baptized, received his First Holy Communion, and was confirmed at St. John's Church, Wahpeton. Patrick also served as an altar boy during his St. John's school years. Patrick had many interests including hockey, skateboarding, snowboarding, weightlifting, jamming with various band mates over the years, and just hanging out with his family and friends. He snowboarded in Montana and Colorado and recently traveled to Norway, land of his maternal great-grandparents, as well as France and the Czech Republic. He was beloved by all in his family but was especially adored by all of the children in his and everyone else's families! Patrick will be missed by his parents; sister, Chanda Rush, Wahpeton; brothers, Corey Wilkie and William F. (Vanessa) Wilkie, Sisseton; Robert Rush, Wahpeton; Jared (Tracy) McBride, Sioux Falls; grandparents, Delores Sand, New Town; Sheila and Dennis Specht, Center; aunts and uncles, Patrick R. and Leann Wilkie, Minot; Georgianna and Ed Schonert, Buxton; William J. Wilkie, Flandreau; Troy Wilkie, Wahpeton; Suzanne Wilkie and Leora Wilkie, Bismarck; Todd Wilkie, Greeley; Lionel Sand, Sina Sand, and Tanya and Delvin Driver, Jr., New Town; Karla Sand and Wade Uran, Casper; Nancy Geesey, Hankinson; his girlfriend, Molly Jurenka, Minot, and a very special niece, Nina Wilkie; and numerous cousins, nieces, nephews, and extended family members and friends. And let's not forget his dog, Sid Vicious (who really isn't very vicious at all), Wahpeton. Welcoming him into eternal life are his maternal grandfather, Melvin Sand; paternal grandfather, Patrick Wilkie; paternal grandmother, Stella Wilkie; uncle, Shawn Sand; nephew, Jaron McBride; maternal great-grandparents, Martha and Carl Sand; Ruby and George Parshall; paternal great-grandparents, Georgianna Wilkie and Joseph N. Wilkie; Jennie and Dutch Poitra and Francis LaForte; and many, many relatives and friends. We sure miss this special young man that we were privileged to know. What a joy he was to have around. His smile lit up a room and it brought happiness to unhappy people. We were honored to be a small part of his life. Shavonne and Dave, you are incredible people. I happened to see Patrick's obituary while looking up a namesake and was struck by his beautiful smile which I know was a sign of incredible spiritual grace. I know that he is blessed now in Heaven and is praying for blessings for all who loved him.k's obituary just now by coincidence while looking up a namesake. I was immediately structure K by his beautiful smile which showed so much spiritual grace. My thoughts and prayers are with you and your family. I'm so sorry for your loss. I am so incredibly sorry for your loss. I know there aren't any words that can make it better. Please know you are in my thoughts and prayers. Shavonne and Dave - I can't even imagine the pain you are going through. I will pray for you to get through this tragedy. I hope you can find peace. You two were my most favorite people to work with at Circle of Nations. So sorry to hear about this. my thoughts and prayers are with you. made it to the service this morning in Wahpeton, it was a good service. glad to see so many people there to morn the loss of such a young man. I wish I would have known Patrick better. you have my love and prayers. Dearest Wilkie famiy! We send our deepest sympathies, along with hugs and prayers, to you all during this hard time!